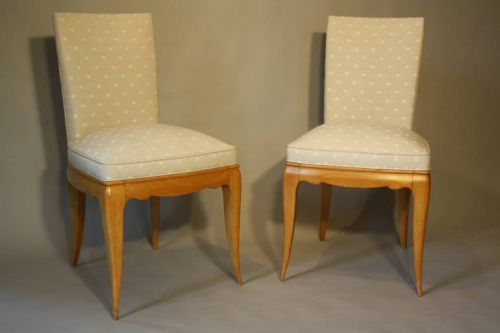 With classic lines and gentle curves, these chairs are by French designer Rene Prou c1935. Reupholstered in cafe au lait and cream spot fabric. Perfect for a bedroom, dressing table, desk or lost corner or even elegant enough for a sitting room. Seat height is 50cm.